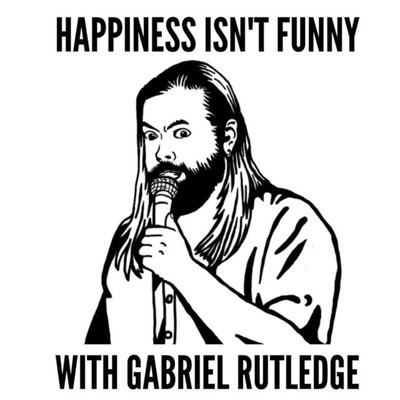 Gabriel Rutledge is a comedian. This is his podcast. There are many like it, but this one is his. Gabriel bravely shares some of the songs he sings to his cats, has trouble getting along with other parents, and is also probably the first comedian ever to discuss some of the differences between men and women. Also Ramtha news! Michael Jordan's Flu Game and Gabriel Rutledge's Flu Comedy are both discussed. Also does Dayton Ohio have an accent? Gabriel talks about the delights of Southern Oregon including the places the internet doesn't work. Vents about people who have to blame someone for their cold, and discusses the origin of AIDS. Yeah, not sure how that happened either. Gabriel talks about A Star Is Born, Venom, Eddie Vedder, being stand up comedy famous, and tells you how much money he makes. Sort of. Words to avoid during dirty talk. What it's like to be a sweet boy. Famous people aren't always good at comedy. Gabriel talks about how the weather is never as bad as it was last week, paid studio audiences, a bunch of dead comedians he knew, and wraps it up with a fun talk about depression. Gabriel gets offered money in a bathroom! He accepts it! Don't trust compliments! The best heckler ever! In flight emergencies! Snow and love! Way too long of a discussion about he who must not be named in comedy! Poor Maroon 5! Why you shouldn't watch The Omen at Youth Group! Mitch Hedberg Stories! Gabriel's Ancestry test! Boise makes me drink! Teacher Rant! Gabriel's Just For Laughs audition! One man bass drum parade! Other thoughts! Gabriel likes coffee! He also likes women! A horrible gross thing happened and Gabriel talks about it! Public Facetime etiquette! Other thoughts! Desert people are weird! Old rock stars! Performing during medical emergencies! Other thoughts! Marching Band! Things Gabriel should have said last week! Gabriel writes a self-help book! Gabriel's viralish video!